What I can tell you is this: the people who voted for Brexit aren’t going to go away and they haven’t changed their mind. On the contrary, I believe people’s appetite for Brexit is stronger than it has ever been. One of the things that pleasantly surprised me at today’s Brexit rally outside the Houses of Parliament in London was the number of people I’d met who had originally voted Remain but were now ardent Brexiteers. Some had originally bought into the Project Fear myths of the Establishment-driven Remain campaign; others had simply gone along with Remain thinking that a rift with the EU would be too disruptive. Now they’d just had enough of the European Union and wanted out. The other thing that pleasantly surprised me about the rally was the overwhelming sense of optimism. It helped, no doubt, that the weather was lovely – arranged, of course, by God who is an ardent Brexiteer and despises the European Union which is why he populated its upper ranks with slithy creatures like Jean-Claude Juncker and Guy Verhofstadt and the sinister Martin Selmayr. Everyone there was blithely confident that Brexit is going to happen one day regardless of what the political class might attempt to do to prevent it. You could call this naivety. And from the perspective of the political class – and most of the commentators and think tankers who hang out with the political class like victims of Stockholm syndrome – I’m sure that it is. After all, most experts have been telling us that accepting Theresa May’s glitter-dipped turd of a Withdrawal Agreement was the last chance of getting even a semblance of Brexit – and that from now on all we can hope for is ever more watered down versions thereof. The error of this official Westminster-sanctioned point of view, it seems to me, is that we’re already in terrain where the old rules no longer apply. Rather, we’re in the realm of chaos where no one knows anything and where anything could happen, including the radical transformation of Britain’s political system in a way that has not been seen in generations, or indeed in centuries. 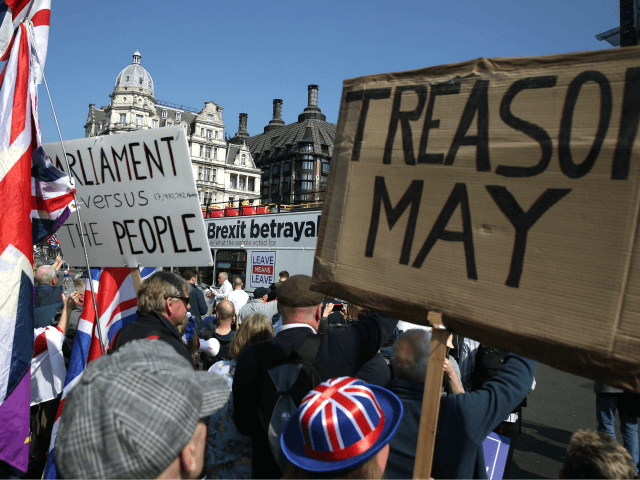 Britain doesn’t have a written constitution but it does have longstanding parliamentary traditions which have been celebrated and respected across the world as that of a mature and wise and just democracy. But if the demos no longer believe that that democracy is doing the job it is supposed to, if they’ve completely lost their faith in the system’s ability to represent their interests justly, then surely all bets are off. I don’t think we’re heading for extreme violence or anything like that. But I do think very much that the impulse that led 17.4 million people to vote for Brexit is going to get stronger and stronger – and that if the political class doesn’t want to have a very miserable time then it really needs to recognise this fact sooner rather than later. If I were an insurgent politician like Nigel Farage, I’d feel very happy right now. These are very interesting times and they’re going to get a lot more interesting still.